Black Walnut Fretwork "Galaxy Two"
The pieces were exactly what I expected, I am so happy with them! I will proudly hang them in my house! Frederick Arndt is very prompt and keeps in contact throughout the process. I would definitely recommend him to others! 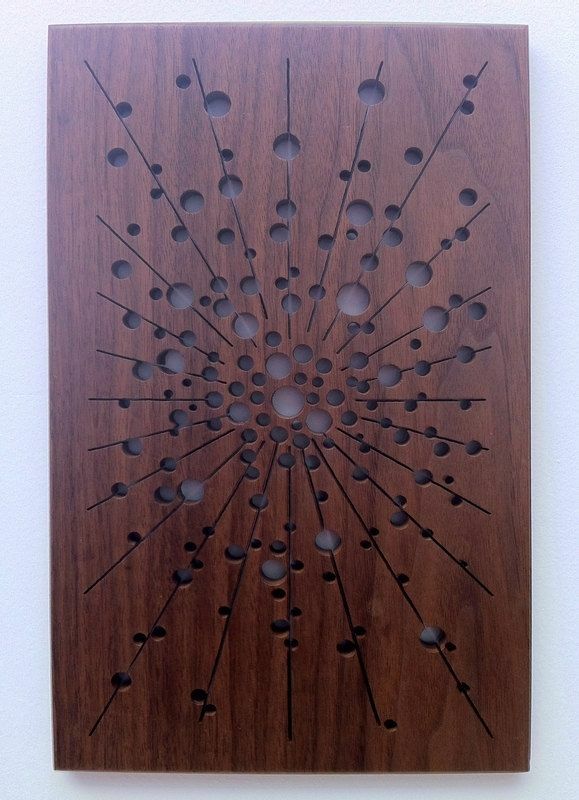 This marvelous fretwork is made of black walnut wood and is a statement piece you can hang on your wall. The piece measures 14 1/2''x9 1/2'' and is 1/2'' thick. The wood was painted with clear coat for lasting protection from elements. A bracket is attached on the back of the piece for easy mounting. Every maker has a story. Be a part of frederick arndt artworks's story by placing an order, leaving a review, and seeing your review appear here.